Railpictures.ca - Matt Watson Photo: You just never know what your going to find out behind the diesel shop at Walker. On this day it turned out to be ex-CP 1533 now lettered for CRLX (Canadian Railserve Ltd) I believe it is now in Keephills AB. | Railpictures.ca – Canadian Railway Photography – photographie ferroviaire Canadienne. Caption: You just never know what your going to find out behind the diesel shop at Walker. On this day it turned out to be ex-CP 1533 now lettered for CRLX (Canadian Railserve Ltd) I believe it is now in Keephills AB. Canadian Railserve was bought out by J&L Consulting in April 2018. 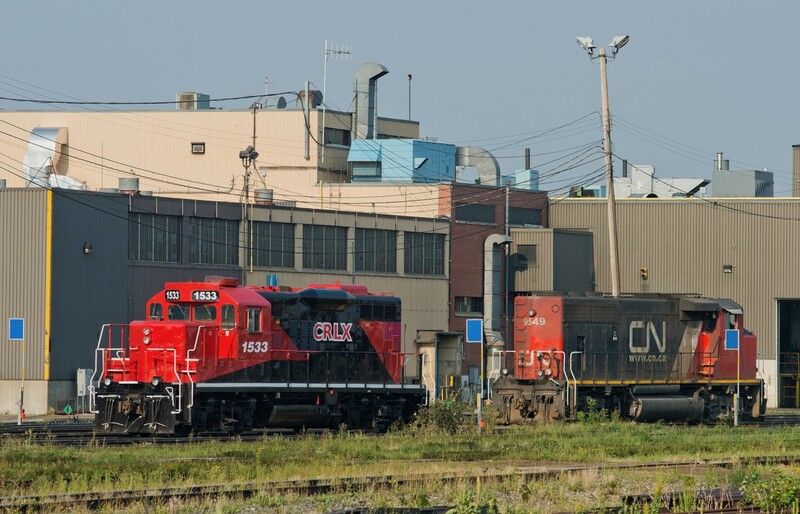 CRLX used to paint their engines mainly black, while J&L would paint their engines red. So this combination on the first repaint for the ‘new’ company, pays tribute to both. Interesting paint scheme.. almost a half CP/half CN. Looks like they retained the CP paint/numbers and painted in the black. Very nice.